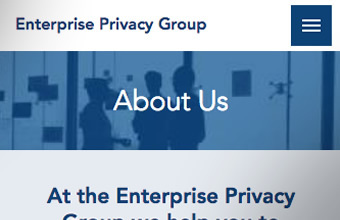 The Enterprise Privacy Group (EPG) is an independent consultancy providing strategic thought leadership in privacy and identity assurance. 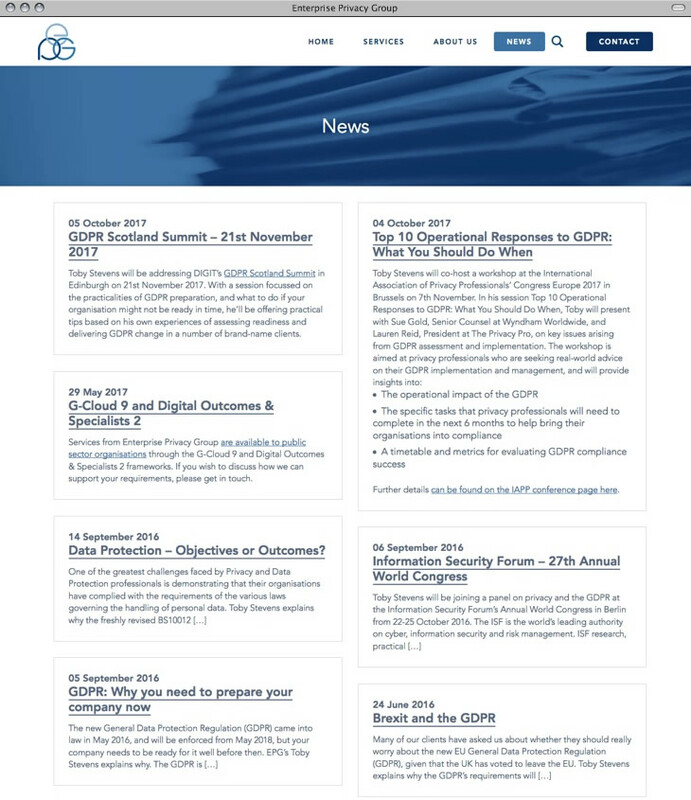 We were asked to implement a new design (provided by EPG) into a new, custom responsive theme to give EPG a refresh and clean new look. 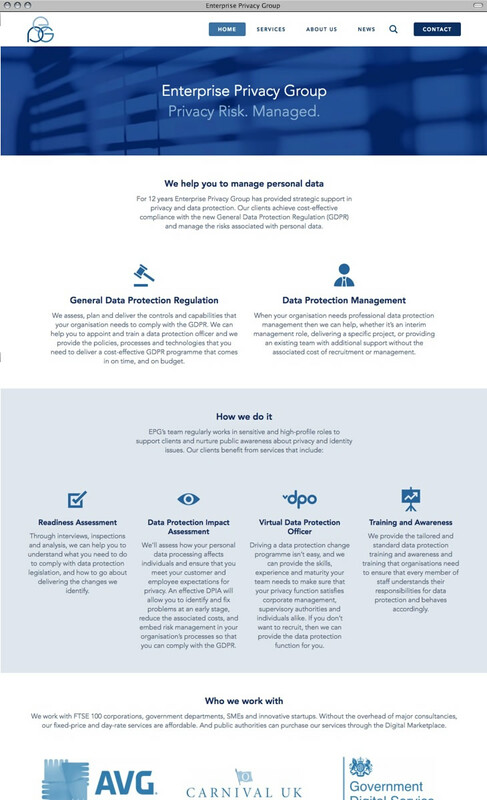 The result is a modern, fast and easy to navigate website, which pays special attention to it's user's privacy by using a secure connection and no cookie deployment. We also designed and created some custom elements such as the information feeds on the home page, and the custom new layout, as well as interpretation of the design on mobile.